The last year and a half has been a time of profound change for me. I cannot express with enough gratitude how valuable Ashby Village has been in assisting me to navigate several major life transitions. In July of 2010, my wife Lynn and I joined Ashby Village. We had heard that it was designed to assist and support people who are aging to continue to live independently in their homes, and we were hoping to volunteer to help others. We never imagined that we would be the ones who would actually be calling for support – and soon. One month after we joined, Lynn was struck by a hit-and-run driver in West Berkeley. She was rushed to the hospital with serious injuries (five shattered ribs). Needless to say, I was stunned. When confronted by the deluge of questions from the hospital staff regarding how to address her care, I called Ashby Village. Immediately, several volunteers, including a geriatric social worker who serves as an ombudsman from Ashby Village, came to assist and support me in making choices and managing her health care. The issues were many and complex: •	I needed to know what my rights were as a husband. •	The hospital was pressuring me to release her immediately (they needed the bed), and they were going to send her to the lowest-grade nursing home in the East Bay (because it always had empty beds). •	I was being pressured to agree to her release and transfer. •	With the guidance of the volunteers, I was able to slow down the process for a day by refusing to sign any papers unless they released her to Alta Bates Hospital. •	Without the support of the volunteers, I would probably have caved in to the three doctors and top administrators who wanted that bed money. With the help of our 'support team,' Lynn was released to return home following a very short stay in the hospital. Over the next several weeks, Lynn received in-home care from an organization referred to us by Ashby Village. They were wonderful. Lynn’s health seemed to be improving, and all appeared well … until one morning, without notice, Lynn went into the bathroom and dropped dead. "I was in a state of shock. Lynn and I had spent 60 happy years together, but we had no family living nearby. Suddenly, there were so many things to deal with and choices to make. It was like facing a machine gun. Once again, Ashby Village came forward to help. On the day she died, three board members came to be with me, bring food and help guide me through that traumatic time. They were my lifeline. Over the next many weeks, Ashby Village volunteers helped me write Lynn's obituary; find a venue for, and plan, her memorial; find a rabbi to officiate. One of their committee members, with a friend, helped me to evaluate my own unexpected housing needs, and when I realized it was no longer safe for me to drive between our house in the hills and downtown Berkeley, they helped me relocate to a smaller, more manageable home near the University. I am incredibly grateful for the help and support Ashby Village provided me in my times of need. I continue to look for ways I can give back, supporting others facing the challenges – and also the joys – of growing older. 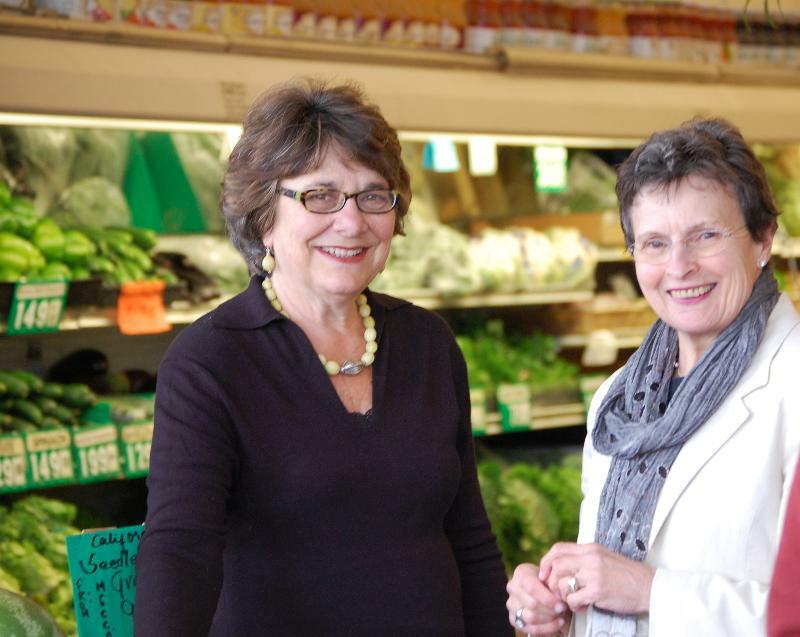 Five years ago, longtime Berkeley neighbors and friends Pat Sussman and Shirley Haberfeld read an article about Beacon Hill Village in Boston, and the idea resonated. Their mutual enthusiasm led to numerous sidewalk conversations and ultimately culminated in the founding of Ashby Village. The issue that captivated them was summed up in another context by Geoff Hoyle in his popular one-man show, "Geezer": "Who will take care of us besides us?" The Beacon Hill model - creating a community organization to enable members to remain in their homes as they age - has spawned more than 50 such villages across the country. Hundreds of similar organizations, from villages to "naturally occurring retirement communities," are in various stages of development, and the villages now actively share ideas and strategies. This month, Ashby Village celebrates its first year of full operation, and by all measures it's wildly successful: a 95 percent renewal rate, higher than Beacon Hill's; double the number of members it had at launch, making it one of the fastest-growing villages in the country; a 70 percent return rate on a member survey; and most important, satisfied members who count on being one phone call away from getting help. That help could take many forms, some of them not yet articulated. A few of the more frequent requests have been for a ride to the doctor's office, a handyman's skilled assistance, a dinner delivered during a health crisis. Members also say they join for the social events and personal connections. Susan McWhinney-Morse, one of Beacon Hill Village's founders, has said, "I often think that what gets older people down about living in their own homes are the little things. ... Who's going to change the light bulb on top of my stairwell? Who's going to fix the leaky faucet?" Pat and Shirley get teary-eyed when they talk about it. They've known each other since before Shirley was a mother; her oldest daughter, Sarah, is now 36. But their friendship deepened over the countless hours they spent nurturing Ashby Village. "We have given birth to something, and we had no idea we were pregnant," Shirley said. Pat, a former hospice director, healthcare administrator and, at the time, consultant, had long worked with LifeLong Medical Care, a group of community health centers that now serves as Ashby Village's fiscal agent. Shirley retired in 2009 as an educational psychologist for K-12 schools. Her retirement spurred Ashby Village into the intense planning stages, 18 months before our operational launch. The two co-founders marvel at the people they’ve met, the talent and commitment so many have brought to the cause. They recruited eight people who began meeting monthly. The meetings evolved to two or three times a week; the numbers swelled. "In the past year, so many more stepped up to the plate in so many ways," Pat said. "We kept stumbling onto things. Someone came up with something that would take us to the next level," Shirley added. They credit Ted Roszak, author of "The Making of an Elder Culture," with pushing them to expand the village beyond the neighborhood of the original planners. Roszak, who died recently, was an early advocate for the village movement, and he and his wife, Betty, became charter members of Ashby Village. Roszak wrote in his book, "As the longevity revolution unfolds, senior villages will become one of the distinctive social inventions of our time." Andra Lichtenstein "kicked us up another notch," Pat said. In the words of Executive Director Andy Gaines, Andra is one of the "three strong women" who work with him on the Executive Committee. Jane Selby, another friend and neighbor of the cofounders, was a key participant in the original eight-member board. She has just moved temporarily to Washington, D.C., after her husband, Joe, was appointed to a central position in planning the future of healthcare. The Selbys retain their commitment to Ashby Village and plan to move back to their Berkeley home in a few years. Feisty professional women are the movers behind most of the villages, author Gail Sheehy wrote in a USA Today article on the village movement. She quoted Ashby Village board member Bob Davis as saying that women are the ones who see the value of socialization. Both Pat and Shirley now feel that the structure supports itself. "It's not all on our shoulders," Pat said. "Every idea anyone brings to the board, they're all looked at equally," and they've received many important contributions from the membership. There's no ego involved, Pat said, no "founders' syndrome." Anxiety over membership renewals - needless, as it turned out - caused them to focus on the concept of sustainability. Two highly regarded retired UC Berkeley professors and administrators, Bill Webster and Steve Lustig, will head a sustainability task force to help chart Ashby Village's course for the future. Both are Village members. Pat and Shirley already have strong ideas about some of the directions Ashby Village should take: broaden the volunteer base, particularly to include more people of various ages; broaden services based on what members say they need; increase diversity among members; expand institutional partnerships; double the membership base to more than 340 within two years; offer subsidized memberships, with the help of grants. Membership fees alone won't cover the cost. Coincidentally, Village to Village Network, an umbrella organization of existing and fledgling villages, will hold its national conference this November in Oakland. "We asked them to make the theme sustainability," Shirley said. The urgency of the theme has been underlined by Candace Baldwin, co-director of the Village to Village Network. As she told SeniorResourceGuide.com: "When you think about the fact that by 2032, there will be more people over 65 than people under 15, we have no time to lose in getting sustainable villages in place." 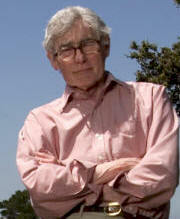 As many of you know, our dear friend and fellow Ashby Village member, Ted Roszak, died on July 5, 2011. As one of the pioneers and deep thinkers in the movement of redesigning our lives as we age, Ted, was a vital part of catapulting Ashby Village from a small neighborhood organization to one that included all of Berkeley and many surrounding communities. His big thinking and his passion for the Village movement was contagious. His heart and soul were evident at every committee meeting and every Living Room Chat where he and his lovely wife, Betty, were always present to encourage others to reach out and grab onto the village movement — supporting one another in our communities as we age. 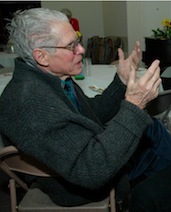 If you were fortunate enough to have had a conversation with Ted, you would have heard him emphasize the point that the Village movement could only exist if the current elders used that same energy and ebullience of the Boomer generation to spearhead alternative ways to age in their communities. "My own hope is that the boomers-the best educated, most widely traveled, most innovative generation we have ever seen-are not too frivolous to face the dilemmas of longevity. On the contrary, I believe they will in growing numbers as the years unfold, recognize that the making of an elder culture is the great task of our time, a project that can touch life's later years with nobility and intellectual excitement." While Ted realized it was pushing the rock up the hill, he was confident that the elder culture of today could do this. And furthermore, he viewed this movement toward aging in our homes or in our communities not just for current elders, but creating new structures for our children and our children's children. His book The Making of An Elder Culture was an eloquent call to arms.... if not us, then who? Ted's enthusiasm for Ashby Village was present to the very end of his life. At his bedside days before his death, Ted was still talking about the virtues of Villages. He was a great contributing member to Ashby Village in its infancy and, fortunately, was able toward the end of his life to see Ashby Village take shape and also to be there for him as his illness progressed. We want to thank Ted for his contributions to Ashby Village, for his forward and big thinking, for his passion and for his humor and wit throughout the challenge of forming Ashby Village from the grassroots upward. We owe so much to him and we will miss his presence and his unconditional encouragement and for prodding to us think big. Our sincere condolences go to his wife, Betty and his daughter, Kathryn and his grand-daughter, Lucy. These three women always brought smiles of love and pride to Ted when he spoke of them. For details of Ted's rich background and literary contributions, please see articles in the July 13th edition of the SF Chronicle and the New York Times. His book, The Making of an Elder Culture is available and highly recommended for Ashby Village members. A copy is available to check out at the Ashby Village office. I got a call from Irene about two weeks ago. She wanted to know if I would accept an assignment to repair a table for Elivia, an Ashby Village member of two or three months. I was already quite busy that week, so I asked Irene if she would try for another volunteer. I suppose it was a sense of guilt that motivated me to email Irene two days later. When she said she had not been able to find anybody else, I said I would do it. I called Elivia on the phone, and we set up the following Wednesday for me to come take a look. The following Wednesday it was raining, so we postponed the job one week until December 15th, the next weekday I had free. I had been to her house once before, to change some halogen lights that were too high for her to reach. And while Elivia is quite mobile, she can no longer climb ladders. So I knew how beautiful her house and its surroundings were going in. Her husband, who had passed away this past July 4, was an architect, and had restructured and remodeled the Kensington house in the most beautiful and gorgeous ways. His affinity for Japanese architecture and culture was evident to me throughout. I only learned later that he had designed and built the outdoor table I was about to fix. The table was nothing like what I had imagined. It is a circle close to 8 feet in diameter, only about a foot off the ground. Its top is made of 1 x 4 pieces of redwood, supported in part by a circular fascia, made of three strips of redwood, laminated together. Several weeks earlier, a tree company had come to Elivia's house to fell a large redwood tree, maybe ten feet from the table. When the tree fell, it hit the right side of the table, breaking one of the 1 x 4's, and splitting the fascia along 40% of its circumference. After thinking it over a while, I asked Elivia what she thought about gluing the fascia back together, instead of ordering a matching curved piece (the price of which still staggers my imagination). She said fine, and I thought to myself that if it doesn't work we would be no worse off than we were at the present time. So I got in my truck, drove home to get all of my clamps, bought a large bottle of gorilla glue, and returned to Elivia's house. On my way back, as I realized that I was going to be able to fix the table, I was overcome by an urge to call my former place of work, and say to my friends there something like, "I'm so sorry you guys are still stuck there. I know you are still being forced to do (economically) hurtful things to your clients, while I get to have this supreme privilege of actually helping people out for a change. Of course, I'm not getting paid for it, but that is more than ok with me—I'm retired and I'm a volunteer!". I never did make the call, but I can still feel the happiness of that moment. When I got back to Elivia's with my six clamps and the bottle of gorilla glue, she told me, "Just let me know when you are about twenty minutes from being finished, and I will start on lunch." I said, "You don't have to make me lunch—that's not necessary at all." But she insisted, so I started to work. Everything went according to plan, and as I was about to put a new 1 x 4 on top to finish off the job, I let Elivia know I had about 20 minutes to go. After washing up, I was astonished to find a huge (and very delicious) salad, a piece of chicken, a potato and two pieces of bread waiting for me on her dining room table! She started to leave the room, and I asked 'where are you going?' Elivia said something like not wanting to intrude, and I said 'no, please stay!'. Elivia had placed a piece of paper on the table for me to read while having lunch. It was her husband's obituary, which she herself had written only month's before. She asked me what I had done before retiring. I told her I had worked for the Recreation Department at the City of Orinda. She told me she had spent the past ten years caring for her husband. She said don't ever think that is a complaint; I would give anything to have ten more years to care for him. A lot of women don't have good husbands, but I did. Please don't ever fight with your wife. Please, try only to make each other happy. You know, my husband designed and built the table you just fixed. We used to sit there in the moonlight. That is why this is very exciting for me. My husband and I joined Ashby Village, excited by the concept and eager to discover what it might have to offer. We are unaccustomed to asking for help of this kind. My husband had broken his hip and was facing a very slow recovery and some cognitive challenges, and we were determined to remain in our home! When we rebuilt, following the Oakland Hills fire storm, we announced to our family that it was our wish to be here until our last breaths. "They should plan on carrying us out". Well, that may or may not be possible, but the safety net that Ashby Village provides makes it far more likely that this intention will come to pass. In the past months since we joined, my husband's wish to complete a memoir has been made possible by an amazing woman who is volunteering to help him finish work that he can no longer complete on is own. When I asked Andy to help us find someone who might work with Bob, he put some Ashby Village volunteers to work finding an appropriate person for the job. Michelle McGuinness now comes once a week and we have together crafted a form that works for Bob, and that promises completion of the project. An oral history, which will likely be transcribed into written form as well, is well underway. Michelle arrives with her Smart Phone and is videotaping stories which Bob will soon present to our family. This is incredibly satisfying to both of us, and we are so grateful to Ashby Village for finding Michelle and to the time she is donating to his work. Our overall challenge with Ashby Village is to think in terms of what we need and how the Village can provide it. It requires thinking outside the box and I trust that over time we will get better at that. As we move into the New Year we hope to be part of this movement which holds so much promise for many of us who are staunchly independent and are now in a stage of life where that fierce autonomy is no longer a viable way to live. The mere existence of the Village, and the marvelous sense of community that is growing around it, has created a psychological and veritable safety net for which we are extremely grateful! .